Thursday, 27th September saw us venture over to Cardiff’s Tramshed to witness PRS Presents – the first of these events to take place in Wales, celebrating Welsh musicians. We were excited to attend but held no specific expectations – admittedly, to our dismay, none of the acts featured had crossed our path before. What a night though – totally, wholeheartedly impressed and entertained right the way through. Al Lewis kicked things off with some stunning original songs and a purely acoustic performance – his voice brought the room to silence from the offset, and though his appearance felt brief, it was a pleasure to witness his emotional and skillful way with music. The magnificent Kizzy Crawford joined him at the final hurdle to perform their latest collaborative single – a memorable track with a slight Santana feel to it, though maybe that’s just me. A great way to go out. After this, the mood switched quite heavily – Rachel K Collier took things down an infectiously energizing, tribal EDM with soul sort of pathway. The crowd wasn’t quite there yet with the necessary confidence or lack of inhibitions to cease this opportunity, but that didn’t seem to affect the artists on stage in the slightest – they gave it their all and it paid off. A beautiful, creative sound – at the earliest possibility we’ll be checking the Collier crew out again. A festival set would be perfect. 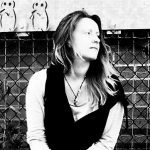 Rachel has an incredible voice, soulful and powerful, which she supports and enhances with a live show loaded with dance-rhythms and high energy, plus – on this occasion – a live drummer / bongo player; a passionate musician in her own right, who threw something additionally special into the mix. These two made for an absolute highlight of the whole evening, and I can’t wait to catch them headlining a gig some time soon. Keeping things eclectic as ever, the PRS hosts made sure to mix things up. Boy Azooga followed Rachel K Collier and turned the room into an indie rock fest – distorted warmth and delicate melodies gave off something of a Stone Roses meets Stereophonics vibe. It’s their own sound, in short, and it built things up brilliantly. From the acoustic gentleness of the opener, through the electronically raw vibrancy of Rachel K Collier, these guys made for a third step that topped things off well. Much to our disappointment, we had to miss the final quarter of the gig, but the night looked set to continue hitting harder. PRS Presents is a superb event to get involved with – they’re an important organisation regardless, but to actually be out there, touring and celebrating the music world’s independent talents far and wide, on top of everything else they do, is absolutely something we need to be getting on board with. They put on a fantastic show, superb sound quality and a great venue added wonderfully to the effect. Exactly how Thursdays should be. Thanks guys. The indie world can’t exist without its audience – get involved, be part of it. 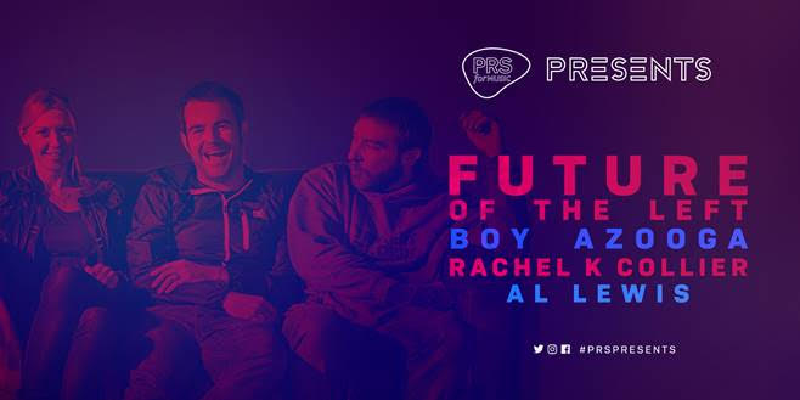 Find out more about the PRS Presents events here. Check out their videos over on YouTube.